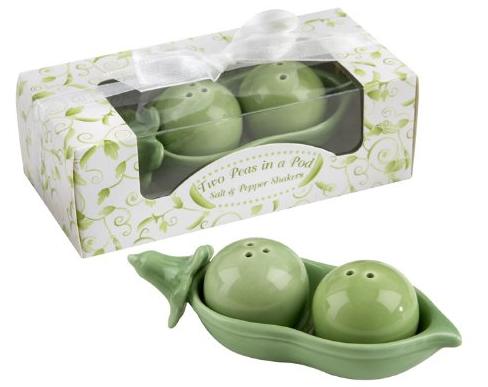 Two Peas in a Pod Salt And Pepper Shaker Set Only $3.29 PLUS FREE Shipping With Prime! You are here: Home / Great Deals / Amazon Deals / Two Peas in a Pod Salt And Pepper Shaker Set Only $3.29 PLUS FREE Shipping With Prime! and I would love to pick up this set for myself at a price like this. Make sure to sign up for a FREE 30 day trial for Amazon Prime to take full advantage of the FREE shipping on this item!